“Dr. 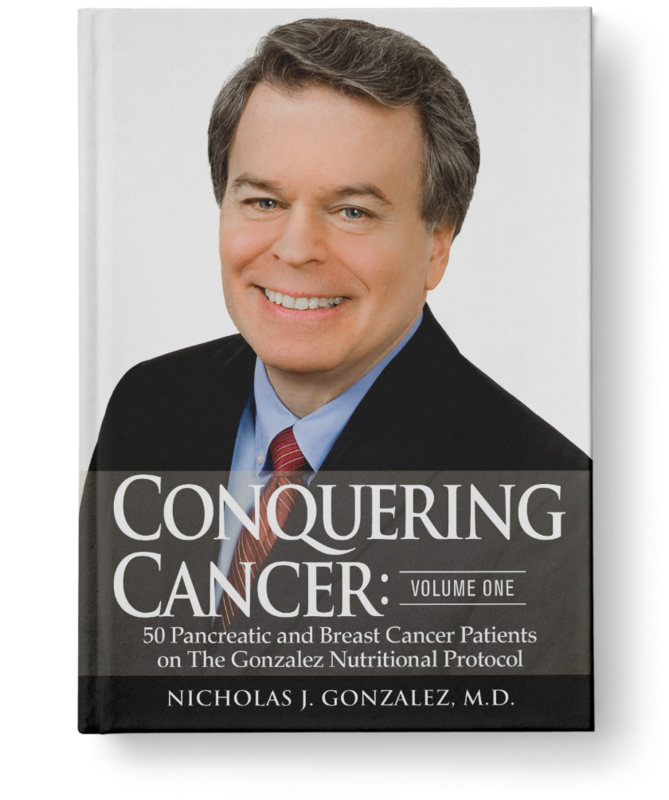 Nick,” as his patients called him, had been wildly successful treating chronic illness and even late stage cancer with his revolutionary Gonzalez Protocol®. He was about to burst forth on a much larger stage. Unfortunately he never got the chance. 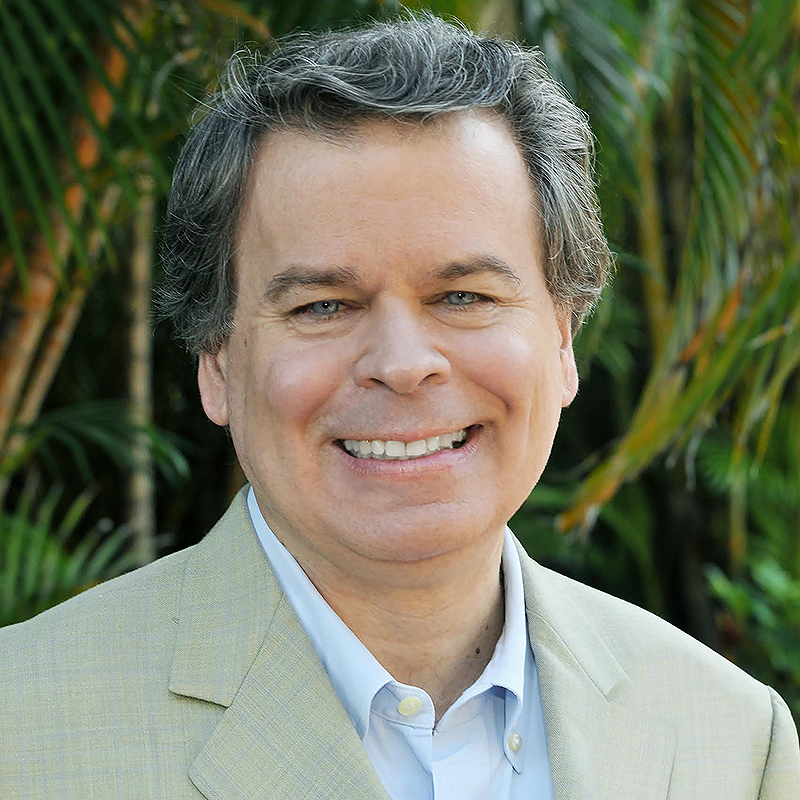 Prior to his unexpected death in 2015, Dr. Gonzalez had been recording in-depth patient case studies — the result of a lifetime of research and groundbreaking patient care — case studies that would publicly legitimize a whole new approach to nothing less than curing cancer. Without Dr. Gonzalez himself here to drive this work forward, his groundbreaking protocols are now in danger of fading into oblivion. We invite you to become part of the movement that keeps Dr. Gonzalez’s life’s work alive. Help us bring his life-saving work into the light of day by buying his first volume of 50 genuine cancer cases — stories of astounding remission and patients living years beyond their prognosis. We need your support to keep his legacy alive as we work to spread his message to other practitioners and medical schools. Thousands of people who could survive cancer will perish without his work. But without Dr. Gonzalez here with us, it will take resources, time, and innovative thinking to find an effective way to preserve his protocols and his legacy for the sake of those future survivors. Offers a new paradigm for healthy living and a broader view of cancer treatment. Explores new ways of managing cancer and being healthy — even if you have cancer. Debunks many of the cancer myths conventional medicine and big pharma want you to believe. The foreword by Dr. Hans Moolenburgh shines a light on how we can address the poisoning of our planet and heal ourselves. Case studies and stories of 50 patients successfully treated with The Gonzalez Protocol®, offering hope for cancer victims. The first volume in a series of Nick’s case reports being published. This first volume in the Conquering Cancer series is not about teaching The Gonzalez Protocol®. It is instead about getting this best kept secret — the little known, yet legitimate and miraculous case study stories into the world — and into the hands of more influential doctors — so the work cannot be easily silenced, hidden, or lost. Your purchase of this book brings this vital, revolutionary work into the light. Each copy we can send into the world becomes another brick in a foundation for building a new, more effective approach to reversing cancer for future generations. Why should you support this grassroots effort? If you believe that there must be a better solution to preventing and reversing cancer. If you are not satisfied to see thousands dying from cancer that could potentially go into remission. If you want to help ensure Dr. Gonzalez’s protocols and successes are not marginalized by mainstream medicine and the pharmaceutical industry. If you are interested in preserving Dr. Gonzalez’s legacy as a way to ensure future progress toward more effective, personalized healing and even recovery. …then you can help by buying a copy of this self-published book and by supporting The Nicholas Gonzalez Foundation, a nonprofit 501 (c) 3 foundation. Consider purchasing copies for yourself, your family, your doctor and your friends. Consider purchasing copies for yourself, your family, your doctor and your friends.